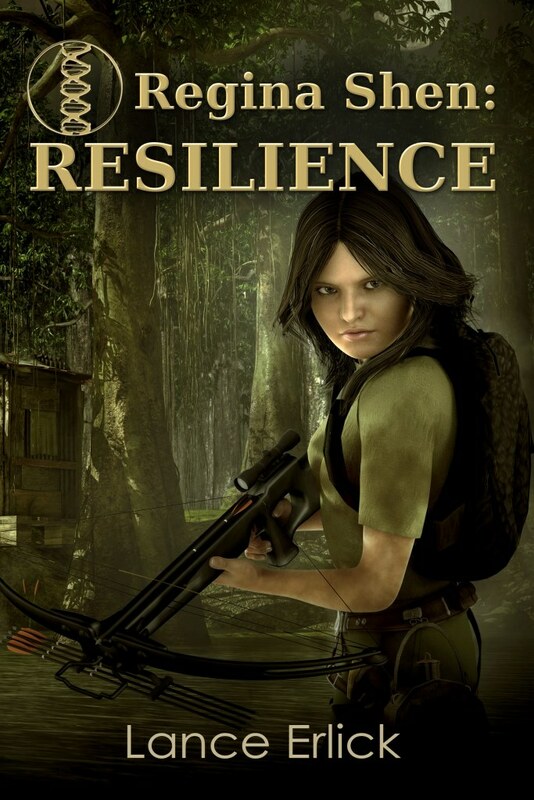 Regina Shen: Resilience is the first book in a trilogy focusing on Regina Shen, a young girl who is forced by the World Federation to live on the outside of the Wall. Aforementioned walls were built to hold back rising seas due to climate change and to protect the world behind the walls. Like that wasn’t bad enough, a hurricane raging overhead separated Regina from her family, and she’s now completely run out of luck. Meanwhile, the Federation agents claim she has unique DNA that could save mankind – except that Regina doesn’t trust the Department of Antiquities at all, especially not after what she’s read in the forbidden books she gathered from sunken cities. So now Regina must fight to stay alive while looking for her family. The best thing about this book, hands down, is the world building. I liked the idea of barrier walls, of how the world is dangling on the brink of extinction, the climate changes that happened, and so on. The world Regina Shen lives in is anything but friendly for the people inhabiting it (which gets kind of scary if you think of it as a futuristic version of our planet). Add in the bonus of no books existing in this dystopian world (oh no, no books!) and you get an intriguing setting for this first book. Regina Shen is tough. Tougher than most main characters, especially teens. She’s a survivor through and through, and no matter what life throws at her, she manages to get through it. As the title says, she’s resilient, our Regina, resourceful, clever and determined. She’s complex and feels like a real person, and I couldn’t help but cheer her on. I won’t spoil the ending, but it definitely made me curious for the next book. This entry was posted in Regina Shen Series, Science Fiction, Stories, Thrillers, Young Adult and tagged abrupt climate change, dystopian, review, sci fi, science fiction, young adult by flwq1578. Bookmark the permalink.